Jim was asked round to Nicola’s on Sunday February 7th to have a wee tasting, Dougie, due to some family commitments was unable to attend, so like soldier’s Jim and Nicola just had to forge ahead. As we purchased some bottles of Glen Moray Whisky at auction recently we decided that one of these would be tasted tonight, and our choice was the Classic. Taste…Smooth, buttery taste but not too complex. Finish…Medium, does not linger too long. Nose…Light and gentle, fruit with a gentle snippet of vanilla, and maybe a wee touch of sea spray. Taste…Fruit again with a wee touch of creamy vanilla, mild spice showing leaving a tiny tingle to the tongue. Finish…Medium in length but a little of the tongue tingle remains. Well that was the first tasting of our auction buys. 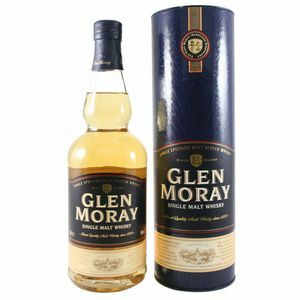 We both thought that this Glen Moray was a little light in character, not exciting us with flavours and a bit more complexity was needed, but in saying that, with a bottle of Glen Moray Classic quite widely available in supermarkets and prices starting form a s little as £14.99 you will certainly not go wrong in buying a bottle or two of this Speyside Malt. Our next visit into a bottle of Glen Moray will more than likely be the 12 year old mellowed in wine barrels, which we are sure will be a more interesting wee dram than the Classic. I have a bottle of Glen Moray Single Highland Malt Scotch Whiskey that was bottled 2/1/1940. Do not have a box but the seal is still in place. What is it worth? 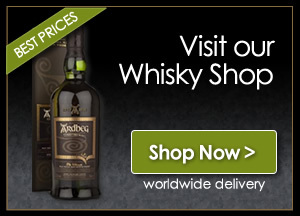 Next story Malt Whisky – How to choose a good malt ?